A Manatee County man was caught in the act while burglarizing a vehicle. 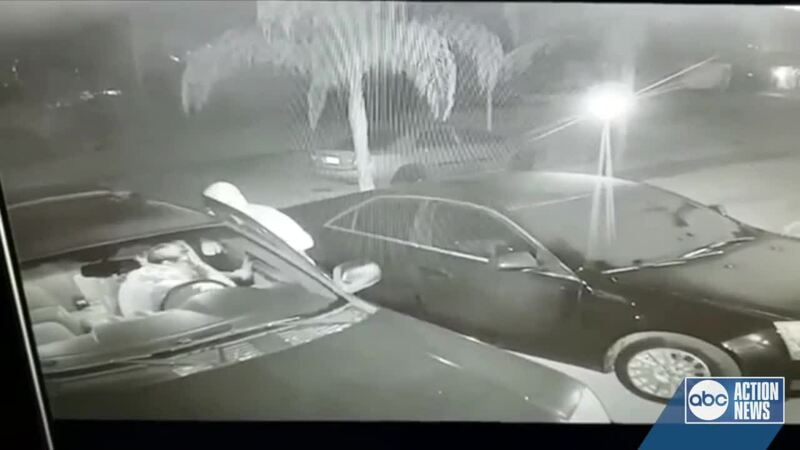 MANATEE COUNTY, Fla. — A Manatee County man was caught in the act while burglarizing a vehicle. The suspect, who has black hair and was dressed in a black hoodie, white t-shirt and blue jeans, was on 77th Ter. E. in Sarasota at 3:00 a.m. on Feb. 7. The victim returned home and looked at his security cameras and saw the man inside his unlocked vehicle. He approached the suspect who was still rummaging through the car and tried to trap him inside. Using the driver's side door, the victim detained the suspect for a short time. However, the suspect was able to exit the car. The suspect at one point struck the victim on the left side of his face and ran away. No property was taken. Anyone with information on this case is asked to contact the Manatee County Sheriff’s Office at 941-747-3011 or Crime Stoppers at 866-634-TIPS.